I’m glad I chased that velvet swimming crab out when I did. I’ve been in dire need of my crevice home to myself for the last few days. Gales hit the south-west coast but there seems to be some debate whether it was just very windy or officially ‘Storm Doris’, as some of the newspapers called it. It felt like Storm Doris to me. Take a look at this video, imagine what it’s like around my reef, a bubbly wild underwater whirlpool! 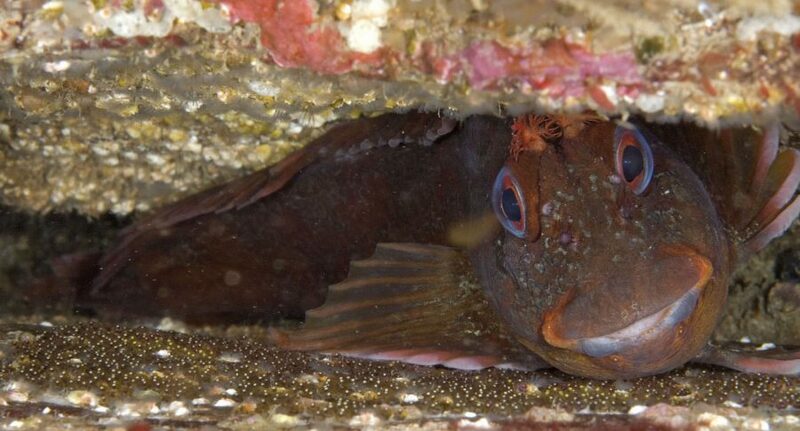 I’m staying hidden away in the narrowest, snuggest part of my crevice for now, using my fins to keep me safely in position. The winds are now easing but there is still a big swell coming in from the open sea. The surfers are enjoying it! 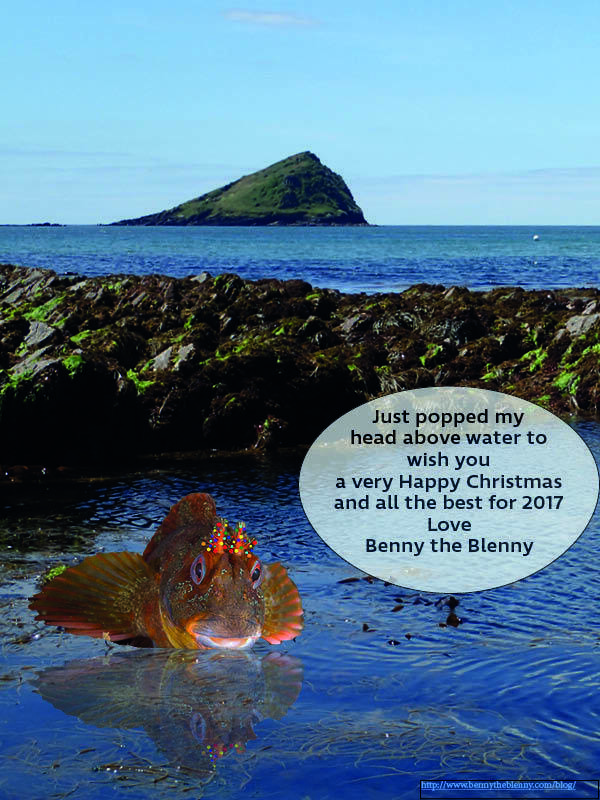 Author Benny the blennyPosted on 7th February 2017 Categories Animal physiology, fins, fish, Storm, Weather, windyLeave a comment on Was that Storm Doris? 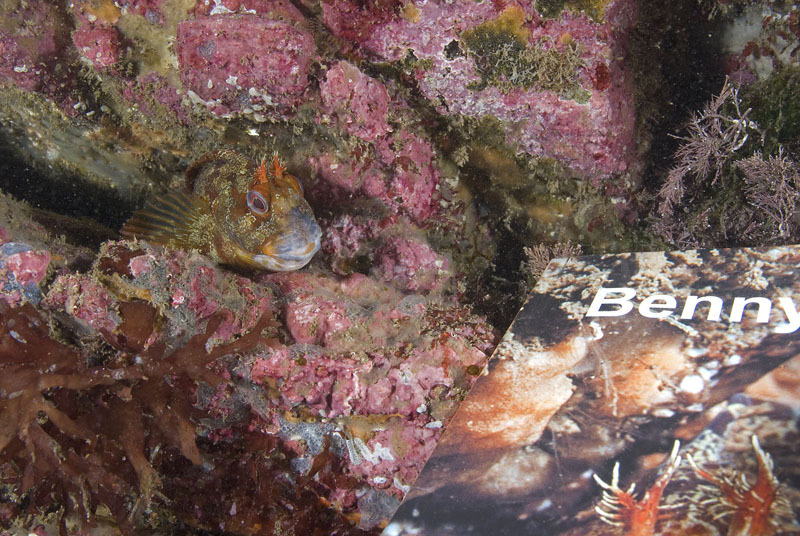 Benny the Blenny is reading his book! Thank you for reading my blogs, I hope you’ve enjoyed them as much as I’ve loved writing them. There’s always so much happening on my reef to tell you about. I’m taking a look at the children’s book that Teresa has written all about me! I swam out over it – checking for spelling mistakes …..
…. all good so gave it the fins up! …gave it a big fins up! Was it the first ever underwater book launch?? 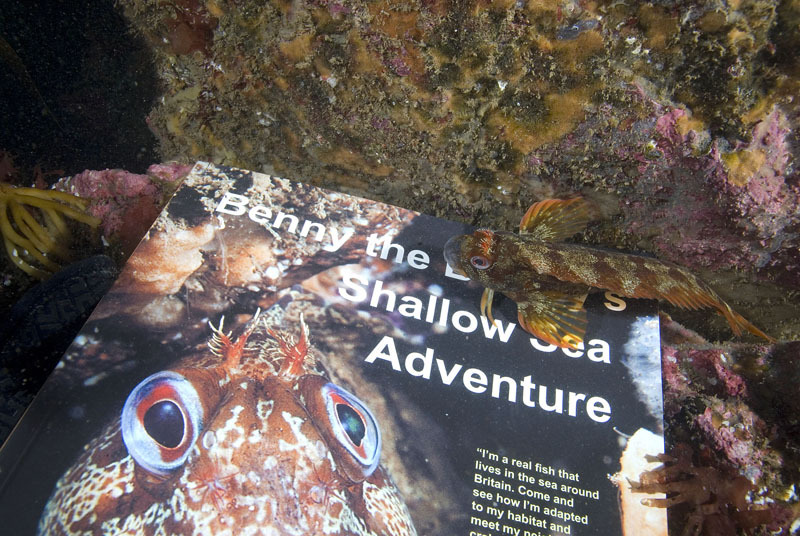 Author Benny the blennyPosted on 16th December 2016 Categories Animal physiology, children's book, combtooth blenny, Diver, fins, fish, Tompot blenny, Underwater photographyTags beach, blenny1 Comment on Benny the Blenny is reading his book! You’ve seen how my amazing my babies were swimming around in the plankton. 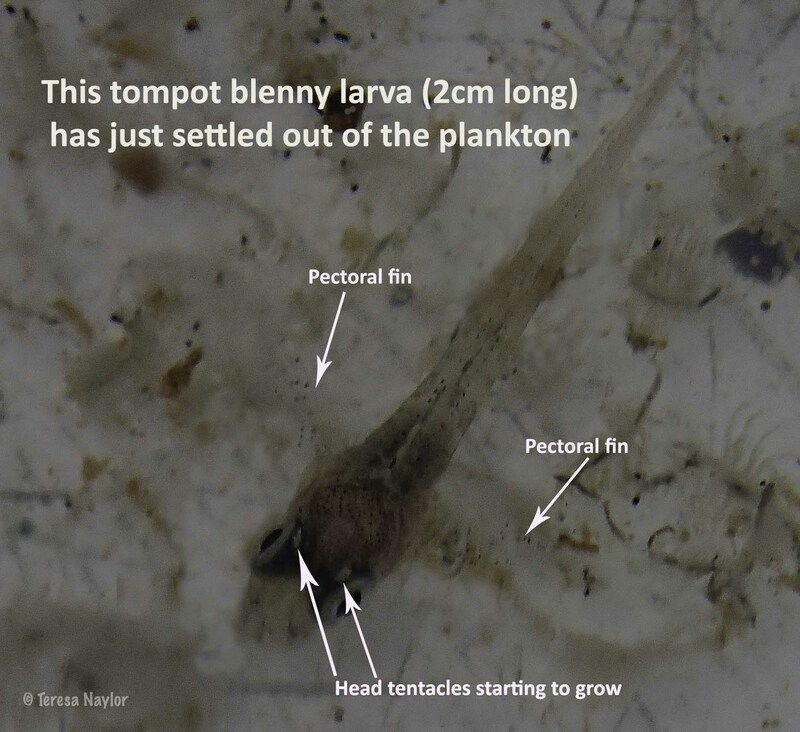 The ones that managed to avoid being eaten and found enough plankton to eat have grown to around 2 cm long and have now settled back on the reef. The researchers are not sure how they find a good home reef. It may just be luck or something to do with them being able to recognise the smell of the area they hatched from. Some coral reef fish know which reef is home from the sound the waves make! When my babies first settle they are quite colourless, but soon take on camouflage colours to help them match their surroundings. You can see that their head tentacles have started growing and their pectoral fins are just visible with some black pigment. Thank you to the National Marine Aquarium Plymouth for their help in getting this photo. 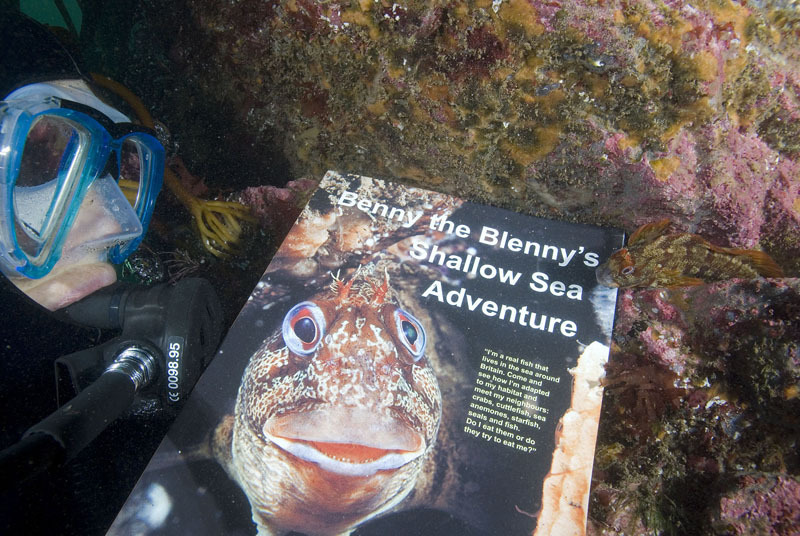 The NMA is an excellent place to see tompot blennies like Benny the Blenny and lots of other UK marine life. Flying about in the plankton, a baby tompot blenny! 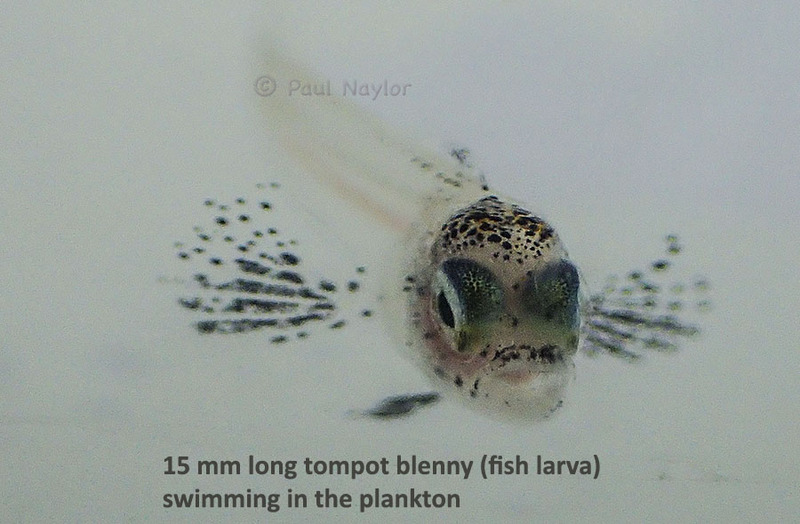 Hey, this shows what my tompot blenny babies look like when they have left home, having hatched from those eggs that I’ve been guarding. Swimming among the plankton in the open sea, they are very sleek with gorgeous big eyes and are between 4 and 20 mm long. When they first hatch they eat very small plant (phyto-) plankton and animal (zoo-) plankton, the youngsters grow quickly and are then able to eat larger plankton. Bigger fish larvae and jellyfish in the plankton are a real danger and my babies have to make smart evasive moves if they see they are about to be grabbed! This photo was made possible by the National Marine Aquarium in Plymouth so many thanks to them. Paul, my underwater photographer, would never be able to spot and photograph one of my babies in the wild! 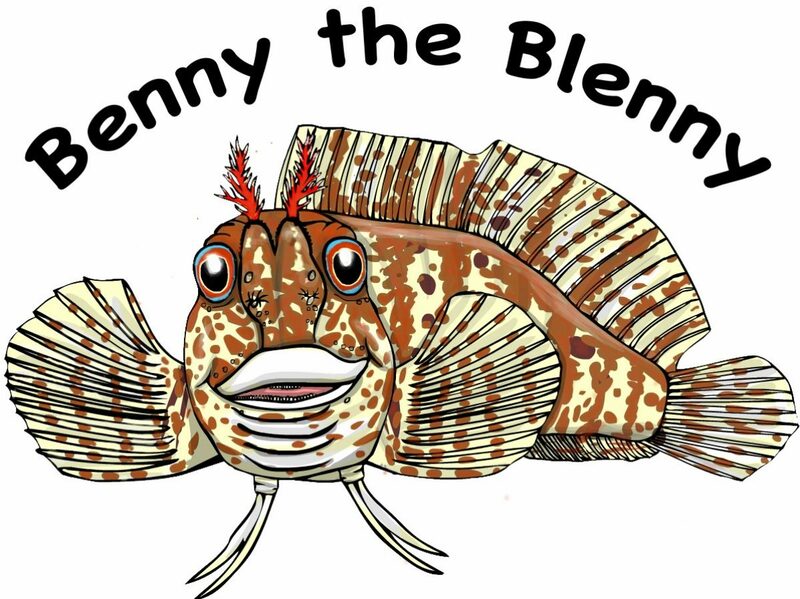 Author Benny the blennyPosted on 12th September 2016 26th September 2016 Categories Animal behaviour, Animal physiology, combtooth blenny, fins, fish, fish larvae, plankton, Tompot blenny, Underwater photographyTags blenny, fish, fish larvae, foodchain, marine week, nature, plankton, shallow water, tompot blenny, UK, underwater, wildlifeLeave a comment on Flying about in the plankton, a baby tompot blenny!